It may seem like a simple task starting a moving company in this day and age. After all, there are thousands of people moving into new homes every day, so how hard could it be? Unfortunately, things aren’t like they used to be. If you were starting a moving company in the 50s or 60s, chances are, you could grab a friend and a truck and start your company in a matter of days. In this day and age, however, things are a bit more complicated. With such high demand for moving companies, there’s a lot of competition, and not only that, but most people expect a full-service company that will help with packing, storage solutions, and long-distance delivery. If you’re simply a man and a truck, you may find it hard to keep up with these demands. 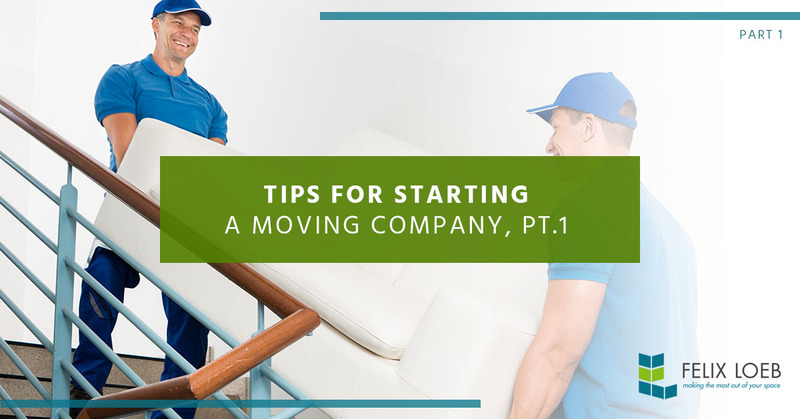 In this blog, we’re going to talk about some tips for starting your own moving company in 2018. Every great business starts with a business plan, no matter how big or small your idea, you need to get organized and have a sense of direction that will carry you through the startup process. Not only will having a business plan gives you something to reference as your company grows, but it will help you to take all things into consideration and think of things that you wouldn’t have otherwise. Drafting a business plan will help you locate resources, markets, growth opportunities, and target markets. Another thing a business plan will do is allow you the opportunity to determine how you will separate yourself from other moving companies in the area. You should study these companies in depth and understand what’s lacking. Maybe they have poor logistics. Maybe they don’t use the latest technology to make moves easier and quicker. Take a look into the company’s reviews or testimonials to see what people are saying. This will also give you a better idea of industry-wide issues that you can look out for. You can’t simply jump straight into moving without the appropriate permits. Moving company permits will work differently in every state, so it’s important to check your local state regulatory authority as well as The US Department of Transportation for information about licensing and registration. If you don’t have the proper registration, your moving company may run into legal trouble, so it’s important to get this settled right away so that you don’t have to worry about it. Moving and transportation insurance is another important thing to get squared away with right away when you’re starting a moving company. You should contact your insurance agency and ask them about a reasonable damages and liability insurance coverage option. Many customers will be turned off of your company if they find out that you’re not insured. Felix Loeb is a company dedicated to helping you make the most out of your space. If you’re starting a full-service moving company, you’re going to need to make the most out of your storage area. Contact us to learn more about our pallet racking products.